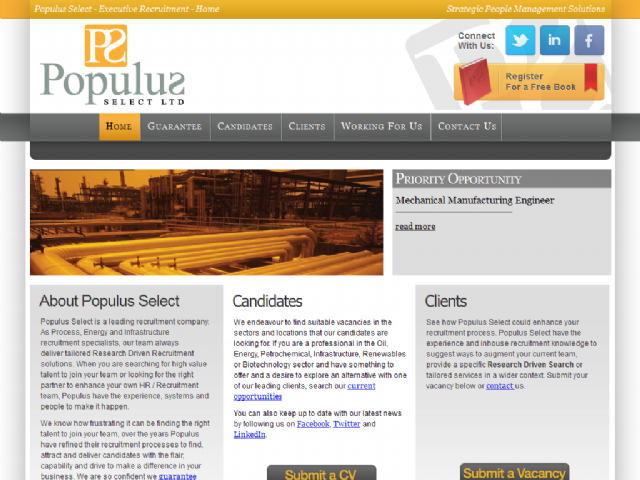 As Energy and Petrochemical specialists Populus Select are delivering Executive Search and tailored recruitment solutions. When you are searching for high value talent to join your team or looking for the right partner to enhance your own HR / Recruitment team Populus have the experience, systems and people to make it happen. Populus Select know how frustrating it can be finding the right talent to join your team, over the years Populus have refined their process to find, attract and deliver candidates with the flair, capability and drive to make a difference in your business. We are so confident we guarantee those results.